"The day he was traded to Dallas in December, he spent his final hours as a Celtic at Boston Children's Hospital, crushing all comers in the game [Connect Four], repeatedly telling kids, 'No mercy.'" "He's a contrarian. I figured that out early. He'd ask, 'Well why wouldn't we do it this way?' Sometimes I'd answer, 'Well, which way do you want to do it?' He'd say, 'No, I like the way we're doing it, I'm just asking.' That's a Rondo." Bibby, it's worth noting, was also the school's basketball coach." "Before Rondo's first playoff series against Atlanta in 2008, the Celtics distributed a 100-page book full of the Hawks' plays and statistics. Rondo took it home, then challenged assistant Darren Erman the next morning: 'Quiz me on anything.' Rondo nailed every question, until Erman tossed a curveball -- a question about something that wasn't in the book. 'F*ck you,' Rondo said. 'That's not in there.'" "He told me, 'If I put my mind to it, I can get a triple-double every game,'" says Justin Zormelo, his personal statistician." "Provide him with bad information? 'Your credibility is shot,' Rondo says. And if he doesn't buy the narrative, even off the floor, he'll bail, he'll disengage, as he does on movies whose storylines stray from logic, even for a moment. His last theater walkout: The Equalizer, starring Denzel Washington. 'I didn't understand how he got the cop's number,' Rondo says, referencing a certain scene. 'It was just too much.'" She knows that for as wildly gifted as this 9-year-old is, he can be just as frustrated with others who are not. 'He just didn't understand why everyone else doesn't get it,' recalls Melanie Benitez, still teaching at Engelhard, 21 years later." "At shootarounds and practices in Boston, Rivers says, Rondo would become "very irritated" when they had to go over plays again and again, even for veterans. 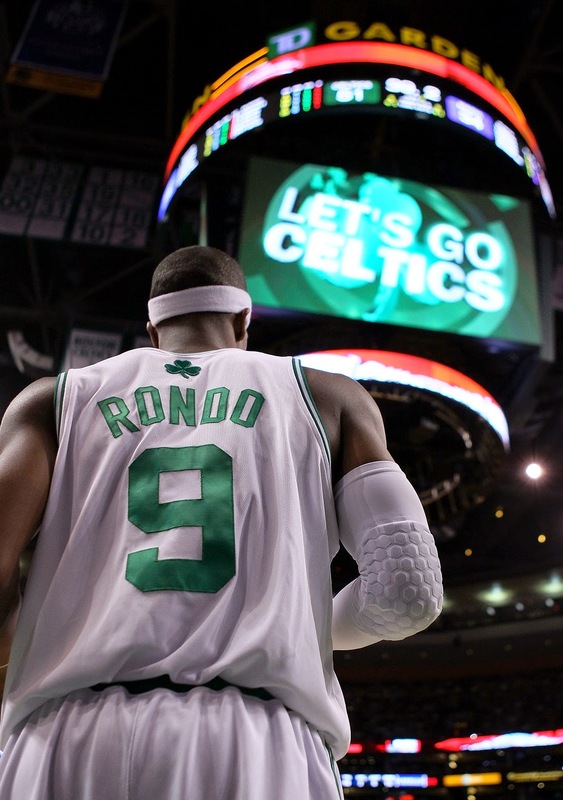 For Rondo, learning plays came as naturally as math." Now watch this clip, and tell me it's not the same guy? The funny thing is, this is the second time this season I've written about Rondo as Good Will Hunting, although the first was for entirely different circumstances.